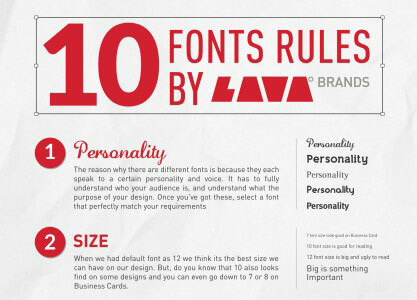 A font is a set of printable or displayable text character s in a specific style and size. The type design for a set of fonts is the typeface and variations of this design form the typeface family. Thus, Helvetica is a typeface family, Helvetica italic is a typeface, and Helvetica italic 10-point is a font. In practice, font and typeface are often used without much precision, sometimes interchangably. An outline font is a software typeface that can generate a scalable range of font sizes. A bitmap font is a digital represention of a font that is already fixed in size or a limited set of sizes. The two most popular outline font software programs on today’s computers are TrueType and Adobe’s Type 1. TrueType fonts come with both Windows and Macintosh operating systems. However, Type 1 is a standard outline font (ISO 9541). Both TrueType and Type 1 fonts can be used by Adobe’s PostScript printers (although Adobe says that Type 1 fonts makes fuller use of the PostScript language).